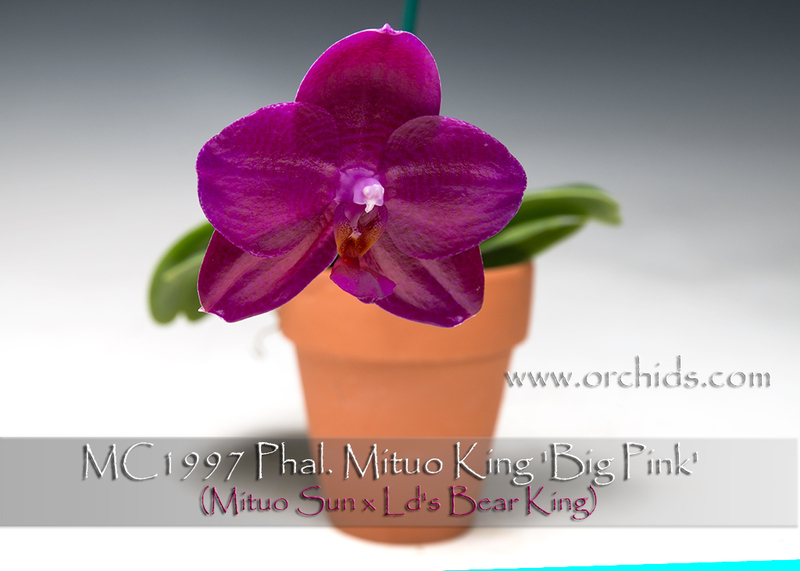 The clonal name, ‘Big Pink’, was given to this clone by the breeder to differentiate it from other red clones of Phal. Mituo King. 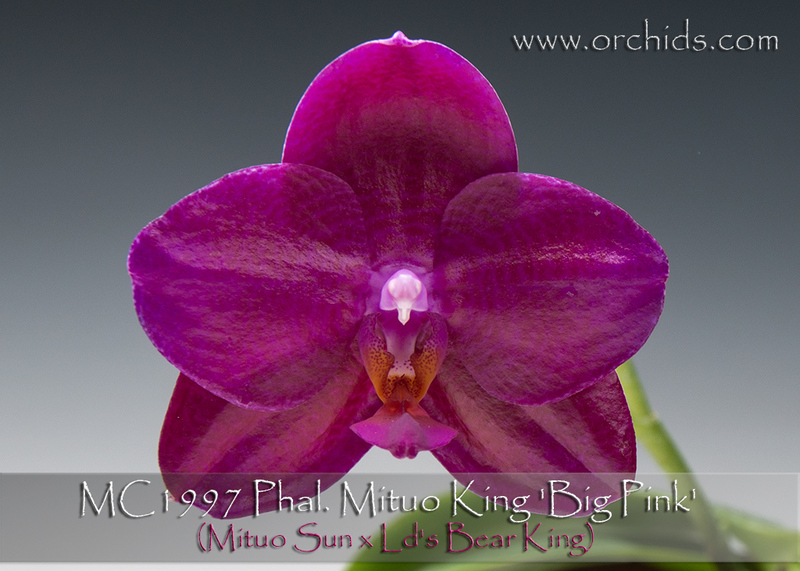 The backs of its fragrant flowers are a bright magenta and in the heat of summer, the flowers are more reddish-purple as they mature. This particular clone has beautiful full form and compact round leaves with its flower spike held well above the foliage. 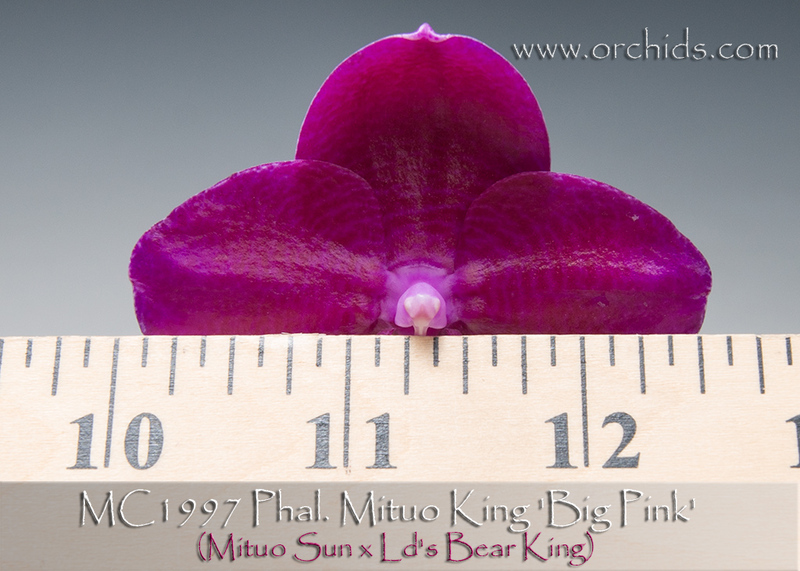 This is a limited Stem Prop and is Very Highly Recommended !